Belinda Gail was raised on ranches in Nevada’s Carson Valley and in the California Sierra Nevada foothills near Sequoia National Park. 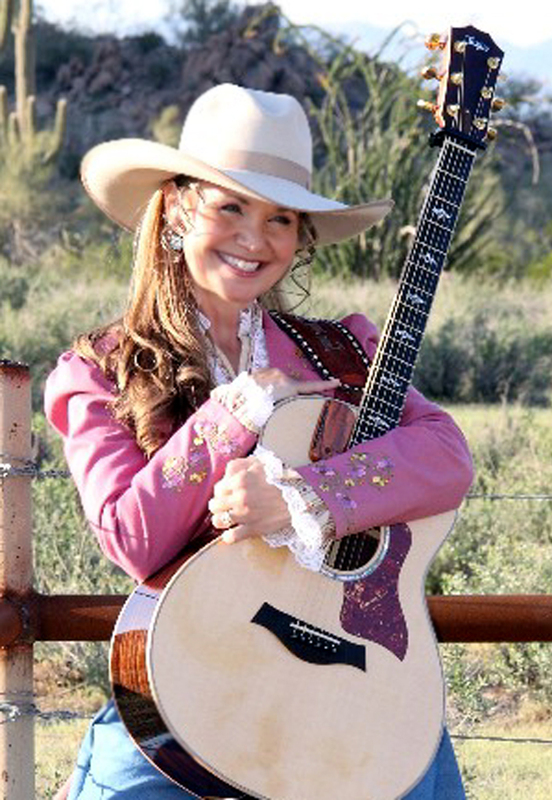 Her rich ranching heritage and love of the West runs deep in her music and evoke the character of the people, as well as the beauty, majesty, and deep connection to the land that only those who have lived the ranch life can truly capture. Ranching and the ‘cowboy life’ are very much part of the essence of this dynamic Western Performer. Belinda is honored and humbled to be counted among the top female Western Music performers of this era. She has committed her full-time effort to this music for nearly a decade and criss-crosses this country taking her special brand of Western Music to the masses. Her numerous awards are evidence of the level to which she has risen not only with Western Music fans, but with her peers as well. Along with being a gifted singer/songwriter her warm and vibrant personality beautifully captures the “Spirit of the West” and easily wraps itself around her audience. As a professional western entertainer Belinda continues to capture the attention of national venues. She tours the Midwest and Western United States extensively and has also performed in Iowa, Michigan, Florida and Illinois and Tennessee, as well as Canada and Austria.